How It Began… – Hello Again, Dolly! My story of coming to Garrison is the fulfilment of a quest, a wonderment first awakened when I was a child. My father was a cardiologist in Yonkers, and he had, back in 1969, recently saved a patient’s life by providing urgently needed heart care. As a token of gratitude, that man, an executive with 20th Century Fox, provided my family with tickets to the premiere of Hello, Dolly!, the studio’s latest film, set to open on December 16, 1969 at the stunning Rivoli Theatre on Broadway, in New York City. The Rivoli Theatre was one of New York City’s finest ‘roadshow’ theatres, and was converted to project Todd-AO, a high definition widescreen process with a curved screen, inspired by Michael Todd. The facade of this movie house was a Roman temple, and an impressive setting for movie premieres. At nine, I had not heard of Barbra Streisand or Walter Matthau, let alone gone to a Hollywood style movie premiere. When we arrived, the streets were packed, and bright Klieg lights spun silver trails in the night sky. There was much pushing and shoving as fans struggled to catch a glimpse of the arriving stars. It bordered on mayhem, and I was grateful when we were quickly ushered in a side door. Inside, it was another world, sparkling and palatial, with plush carpets, glistening crystal chandeliers and guests dressed to the nines. This I wondered for more than forty years, until one fateful summer day as I was exploring the Hudson Highlands. I came upon Garrison Cafe in search of lunch, and chanced upon folk singer and social activist Pete Seeger, who had been to my Fourth Grade class in November 1969, just weeks before my family’s attending the Hello, Dolly! premiere. He taught our class the seminal song “This Land Is Your Land,” and had us protesting pollution in the Hudson River. As I sat enjoying my sandwich that afternoon, my mind reeled at the thought of having been able to express my thanks to Seeger for his environmental work, and his tireless effort in reaching out to so many kids in the region. Memories of being a kid again flooded into my mind. As I was leaving, I asked the cashier about this tiny town of Garrison where I was in, but had never heard of. I didn’t recall seeing it on any maps. “What else is there to see here?” I inquired. “Huh?! ?” My eyes widened with surprise. “You mean, the… the movie? The one with … with… Barbra Streisand?” I stammered. The next thing I knew, I was inside Antipodean, located in the 1840s train station where Abraham Lincoln rested briefly one night on his way to West Point. This antiquarian shop is an antique book aficionado’s dream come true, filled with rare volumes, maps, and prints, many focused on the Hudson Highlands. The Highlands were a theme that had inspired my recent Hudson River explorations. Its genial proprietor, David Lilburne, showed me some rare prints of Kosciuszko’s garden at West Point, and invited me to his and his wife Cathy’s informal Friday night social gatherings at the shop. For the next four years, on most Friday nights, I made the hour trek north from lower Westchester and got to meet the dynamic and wonderfully idiosyncratic people of Garrison, as well as some visitors from Cold Spring, Beacon, Peekskill and West Point. What impressed me was the passion that this community had for their particular areas of interest, whatever those may be, and for life itself. Civically minded, they all seemed to share a deep interest in Philipstown’s numerous nonprofits. I was enjoying my visits, and spending so much of my time here, that I finally decided I should move here. To the community’s diverse mix, though many already knew of me from my years of creating distinguished high end holiday decor, I became “Johnny Lavenderseed” thanks to my passion for cultivating organic avender and planting it around town. 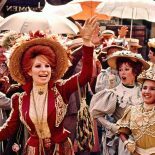 More recently, I’ve become known for my desire to celebrate and share the 50th anniversary of the filming of Hello, Dolly! in the Hudson Highlands. I learned that a Garrison local, Gordon C.Stewart had also hoped to create a celebration of the film, and host a parade down Garrison Landing, but he had passed before realizing this dream. Perhaps following in his spirit, I thought this was something that I could launch. Organizing the festival has been a labor of love, both for the film and for this community. I simply dreamed up the kinds of events I myself would like to attend, and then set about creating them not only for myself but also for the entire community to enjoy. The festival has many events, to date close to twenty planned over a six month period and organized under the auspices of our local nonprofits. (See www.HelloAgainDolly.com) In addition to festival organizer, I’ve taken on the role of curator for the Hello Again, Dolly! exhibit at the Putnam History Museum, and also as the author and editor of this compendium. 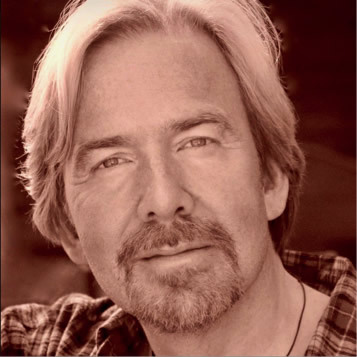 The festival, like the scope of this book, focuses only the part of the film made here in the Hudson Highlands. This is a local community celebration, though all are welcomed! During this remarkable journey, I’ve had a chance to visit with and interview many people who were here when Hello, Dolly! was being filmed, including some who worked behind the scenes or were even in it! It’s been a wonderful way to get to know people and have an adventure of my own! Through it all, David Lilburne has been akin to Garrison’s unofficial mayor, the un-Vandergelder, and his distinctive shop remains a welcoming heart in a community like no other. Even before moving up here from Tarrytown, with each visit, I felt like I was coming home. “Isn’t the world full of wonderful things?” says adventurous and enthusiastic Cornelius to his young assistant Barnaby in Hello, Dolly!. I believe it is, especially if despite life’s inevitable challenges, we choose to keep our hearts open, treat life like an adventure, and recognize the goodness when it presents itself. As always, there is so much more good yet to come!